Connect Four (also known as Four Up, Plot Four, Find Four, Four in a Row, and Four in a Line) is a two-player game in which the players first choose a color and then take turns dropping their colored discs from the top into a seven-column, six-row vertically-suspended grid. The pieces fall straight down, occupying the next available space within the column. The object of the game is to connect four of one’s own discs of the same color next to each other vertically, horizontally, or diagonally before one’s opponent can do so. 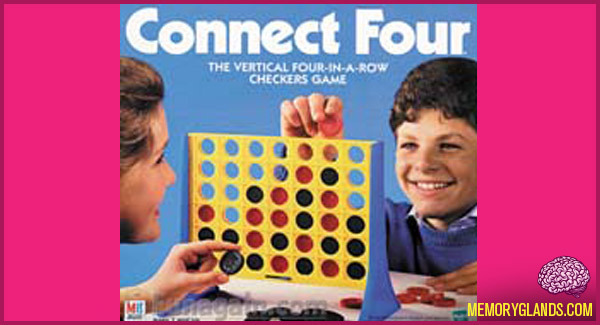 The game was first sold under the famous Connect Four trademark by Milton Bradley in February 1974.